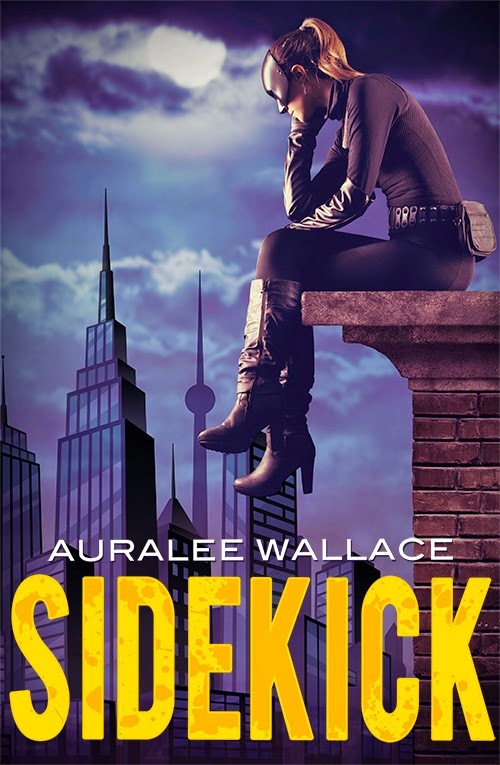 Today is release day for the new superhero novel Sidekick by Auralee Wallace. I am so excited about this release from Escape Publishing. Finally, my nerdy-superhero-loving side and my girly-romance-loving side unite! 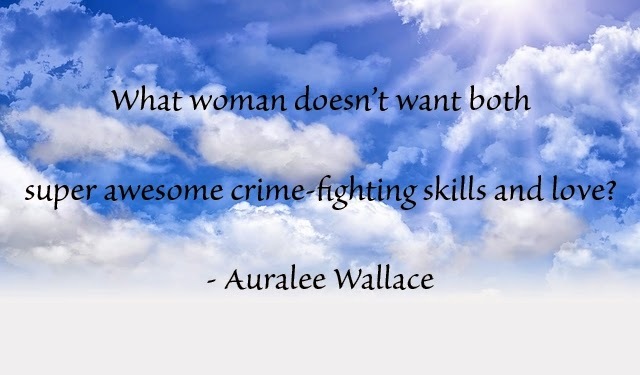 I'll be sharing my review very soon, but in the meantime Auralee Wallace has kindly stopped by to tell us a little about writing this awesome superhero story FOR WOMEN. It’s a bird. It’s a plane. It’s…wait…is that a girl? I came up with the idea for my debut novel, Sidekick, in a roundabout way. I initially thought I would write a YA love story between two teens with superhero-type powers. About a third of the way into it, I realized I wanted to write a different story – a story with the kind of kickass hero you often see in Urban Fantasy, but instead of being a paranormal being, she would be a crime-fighter. Despite my research, I decided to persevere in writing the story I wanted to write - which just so happened to include a romantic subplot. I wanted my Superman to have her Lois Lane (okay that sounds a little weird, but you know what I mean.) What woman doesn’t want both super awesome crime-fighting skills and love? When I finished, I was excited to begin the submission process. Soon after, I got my first batch of rejections. In the mix was a response from an agent who stated that while she loved my writing, she thought the “superhero” thing would be a tough sell. I shouldn’t have been surprised - after all, my research had told me as much – but I was disappointed. Luckily, not long after, I found Escape Publishing, and it turned out they thought female superheroes were cool too. Now, I’m not saying everyone should run out and buy Sidekick just to prove they support girl power (okay, I’m thinking that, but I’ll try not to say it…much), but I am saying that I don’t believe for one minute that a cool female superhero lead wouldn’t sell. In fact, I think the exact opposite - I think that readers might actually be craving superheroes for women by women…or by Joss Whedon…that would be cool too. Auralee Wallace has played many roles in her life, including college professor, balloon seller, and collections agent. 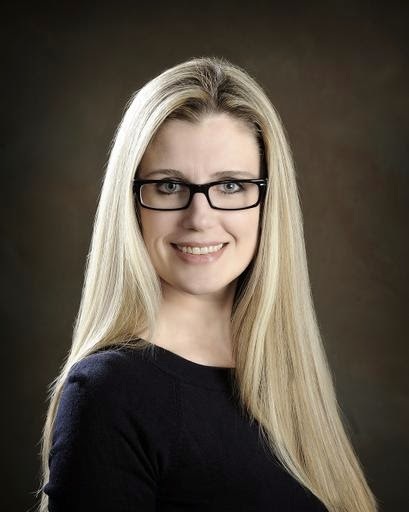 She is now living her dream of writing humorous women’s fiction. When this semi-natural blonde mother of three children (and psychiatric nurse to two rescue cats) isn’t writing or playing soccer, she can be found watching soap operas with lurid fascination and warring with a family of peregrine falcons for the rights to her backyard. Sidekick by Auralee Wallace was released by Escape Publishing on June 1, 2014 and is available from Amazon, Amazon AUS and The Publisher. Thank you for hosting my post! Thanks for writing this fab post, Auralee! I know I'm definitely craving more superheroes for women by women! Double thanks for writing Sidekick. I hope it starts a new trend!